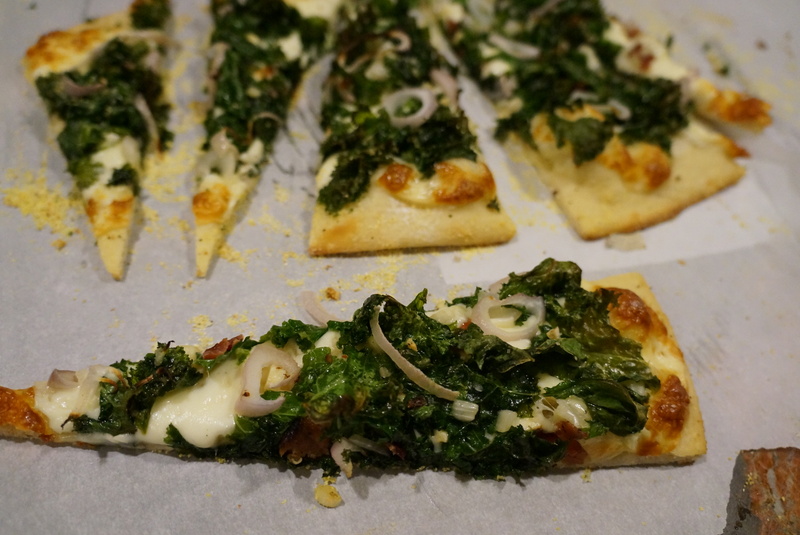 Here is a great recipe for Kale and Bacon pizza. I know, Vanilla Bean has been a little “Pizza-heavy” lately but its an easy weeknight meal, everybody seems to love it no matter what you put on top…and did I mention BACON? Kale is the it food right now – one of the top super foods. It fights free radicals and has tons of vitamins! Its everywhere, smoothies, salad mixes, soups, omelets and more. Bacon on the other hand..uh, not so much. It is definitely not a super food but the Kale will bust out all of the “bacon-bad”. That’s my philosophy and I’m sticking to it. 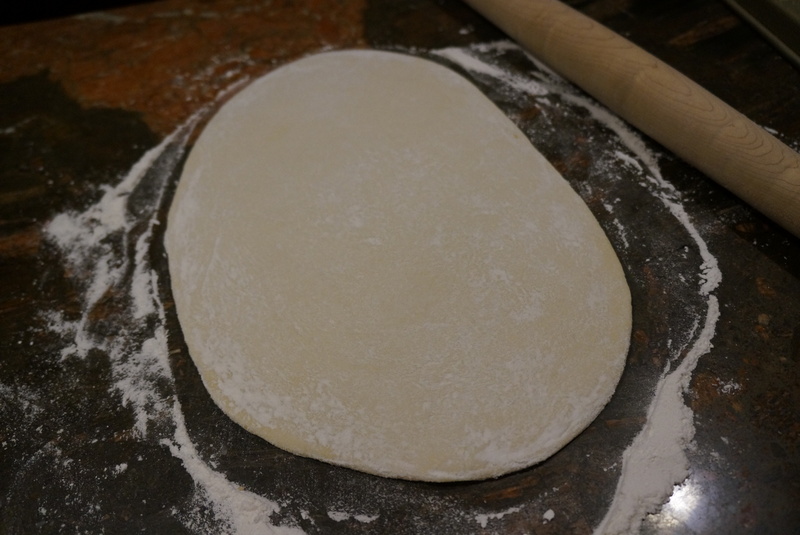 1 pound store-bought or homemade pizza dough. Cook the diced bacon in a medium sauté pan set over medium-low heat until a majority of the fat has rendered. Remove the bacon pieces with a slotted spoon to a large bowl, along with 2 teaspoons of the bacon drippings. 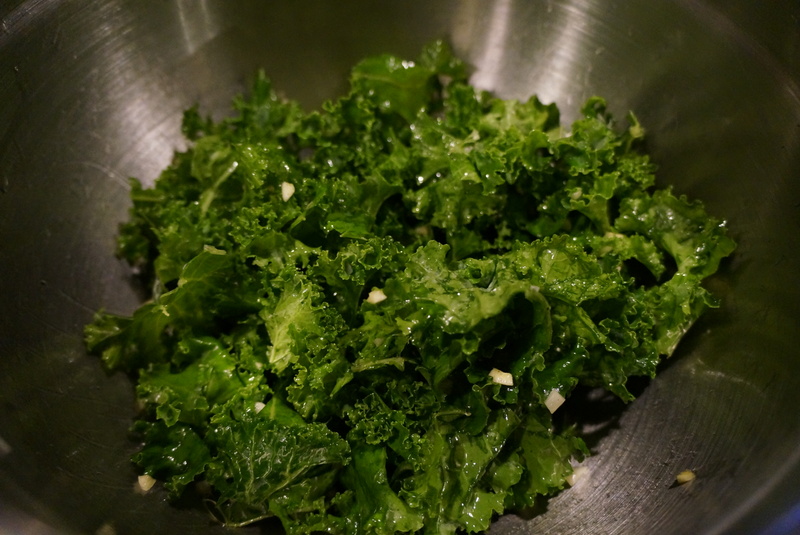 Add the kale, olive oil and garlic to the bowl, tossing to combine. Bake the pizza for 10 to 12 minutes, rotating it half-way through, until the crust is fully baked and golden brown. Remove the pizza from the oven to a cutting board, sprinkle it with Parmesan cheese, and slice and serve. I recommend baking your pizza on an inverted, rimmed backing sheet. I don’t know why but it makes the dough beautifully crispy! It makes all the difference. 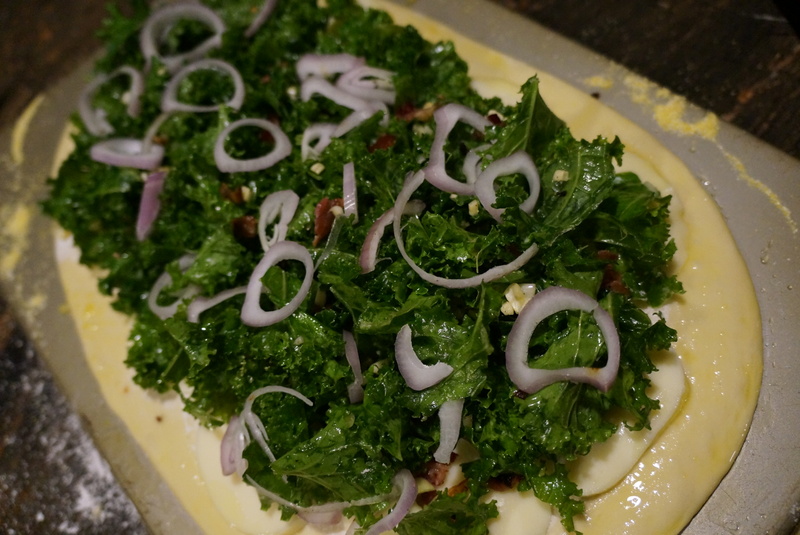 The kale leaves must be well coated in the bacon drippings and olive oil or they will burn before the dough is fully baked. 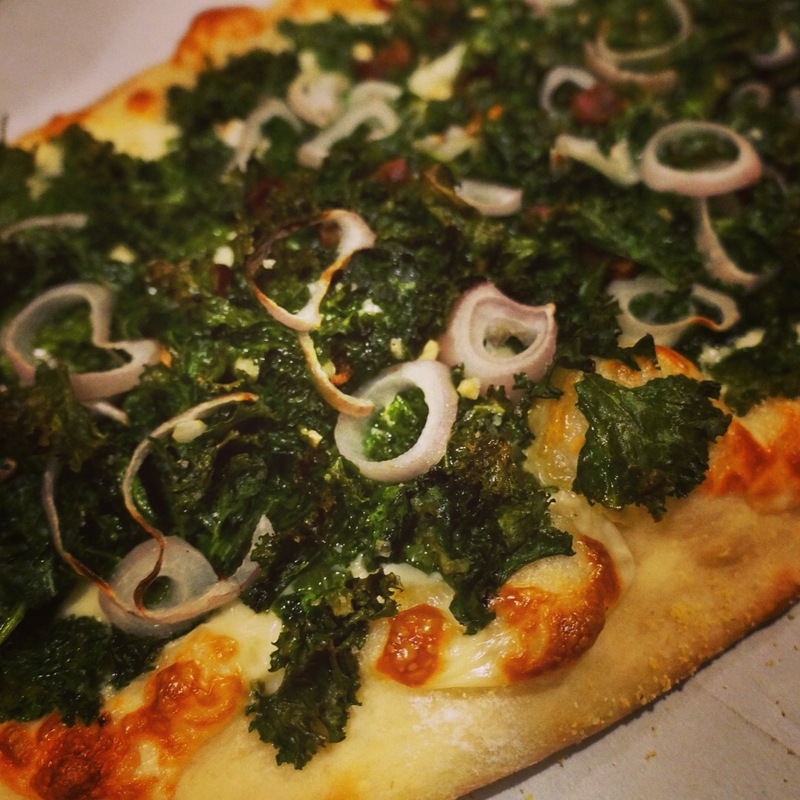 And it may seem like a large amount of kale, but pile it high atop the dough, as it’ll cook down significantly once baked.